Heroku Add-ons are quite powerful to make your both Free and Paid Heroku Cloud Instance to support features like Postgres,Mongo databases or add a new function. Basically, within the free tier, we have shown in detailed guide how to use the Free SSL from Heroku Cloud and Install WordPress or how to create a real webroot and add other functions of PHP. In this starter guide, we will show you to use some relative less known functions of Heroku Cloud by using the Heroku Add-ons. Specific step by step guide to use these Heroku Add-ons will be published in future as step by step guide with screen shot and video. 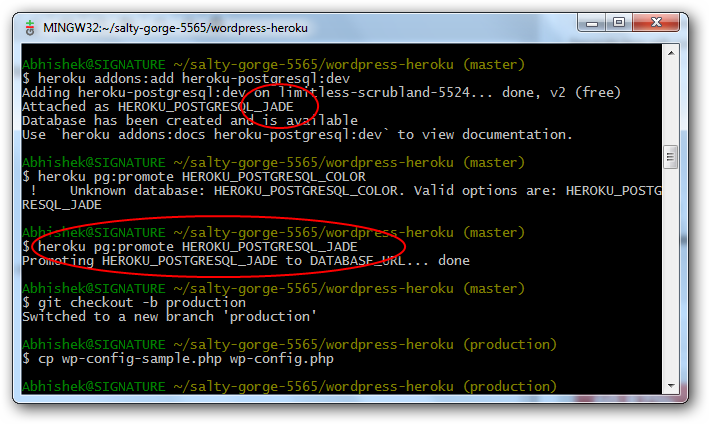 There are more excellent Heroku Add-ons ! Let us get started with some hand picked nice Heroku Add-ons. This Article Has Been Shared 3303 Times! Cite this article as: Abhishek Ghosh, "Heroku Add-ons : How to Extend Functions of Heroku Cloud Instance," in The Customize Windows, December 22, 2012, April 21, 2019, https://thecustomizewindows.com/2012/12/heroku-add-ons-how-to-extend-functions-of-heroku-cloud-instance/.